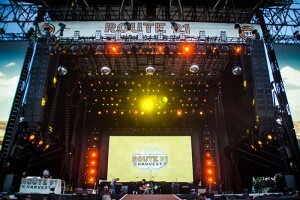 USA - MGM Resorts International and Live Nation teamed up this fall to produce the inaugural Route 91 Harvest country music festival on the Las Vegas Strip over October’s first weekend. Staged on a huge lot across the famed boulevard from MGM’s Luxor, the three-day event featured some of the biggest names in country music, including nightly headliners Blake Shelton, Miranda Lambert and Jason Aldean, plus more than two dozen other classic artists and fast-rising newcomers. 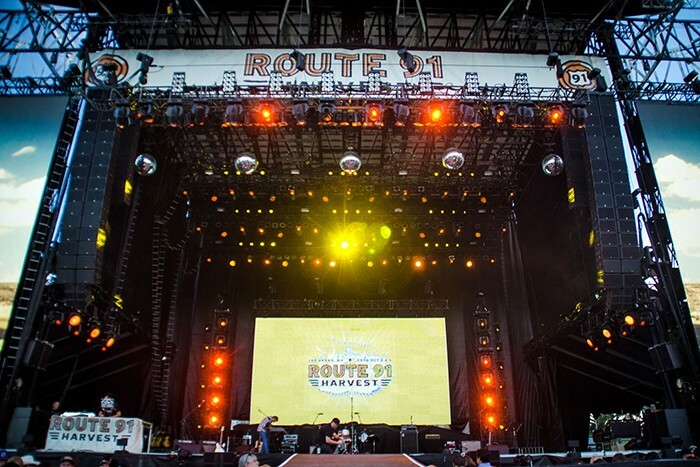 Route 91 Harvest was a big show, but true to Las Vegas’ larger-than-life philosophy, it was only one of four huge music fests held there within a single month’s time. The iHeart Radio festival (September 21) saw pop stars Iggy Azalea, Neon Trees, 5 Seconds of Summer and Fences take the stage; on September 27 the first iteration of the Boulevard Brew Fest brought rockers Kings of Leon, Young the Giant and Kongos to town; and the Wine Amplified festival (October 10-11) was headlined by Train and Blink 182. Las Vegas witnessed a truly diverse month, musically speaking, but what all of these festivals had in common was great sound through an L-Acoustics K1/K2 system supplied by Solotech Las Vegas. 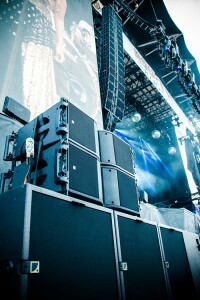 This choice further underscores the fact that L-Acoustics is now recognized as the global leader chosen by six out of the ten world’s top-grossing music festivals*.